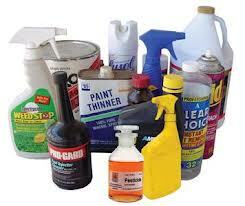 Do you have household hazardous materials under the kitchen sink or in the garage? Learn where and how to properly dispose of them and other hazardous chemicals at www.earth911.org or contact the Utah County Health Department or call North Pointe Solid Waste Special Service District (the Lindon landfill station) at 801-225-8538, ext. 202. Free passes to the landfill are available for Cedar Hills residents at the Cedar Hills city office. Utah County residents with household hazardous waste items such as old gasoline, paint, fluorescent light bulbs, batteries, and unused medications are offered safe disposal of these items at an annual collection day in April. The collection takes place in the west parking lot of the Provo Towne Centre Mall in Provo from 9am to 3pm. For details, including a list of what will or will not be collected, please visit the Utah County Health Department website.